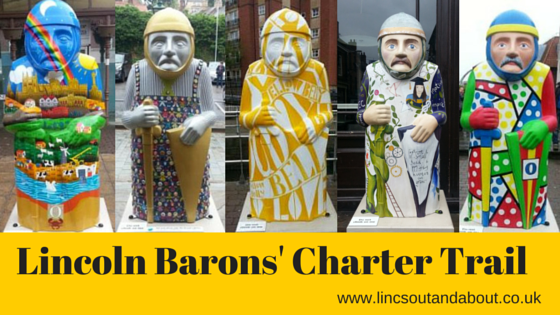 The Lincoln Baron’s Charter Trail is part of the city’s Magna Carta 800th Anniversary celebrations. The 25 Lincoln Barons were placed around the city for the start of the trail on 13th June, to coincide with the Great Weekend celebrations and they will stay in place until the 13th September. Each Baron represents one of the Barons that signed the Magna Carta with King John, each is decorated by a different artist and sponsored by a local business. 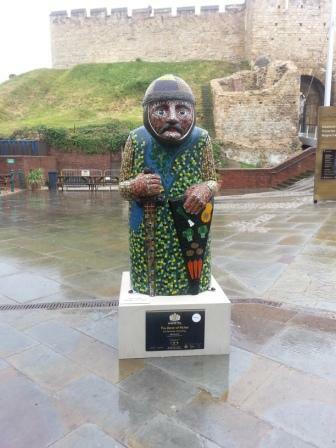 My children and I visited Lincoln to do the trail on a rather rainy 13th of June, we had lots of fun finding the different Barons around the city and finding the letter on each Baron to work out the phrase, so we could win a bag of King John’s gold (chocolate coins). The trail is free, it is a great day out with the kids and it gets you wandering round Lincoln seeing different parts of the beautiful city. We didn’t do the trail in order, starting at the first Baron at the Museum of Lincolnshire Life, we were so excited we found the first one nearest to where we had parked. We walked a long way so for smaller children it might be an idea to do it in parts, if they aren’t keen on walking. 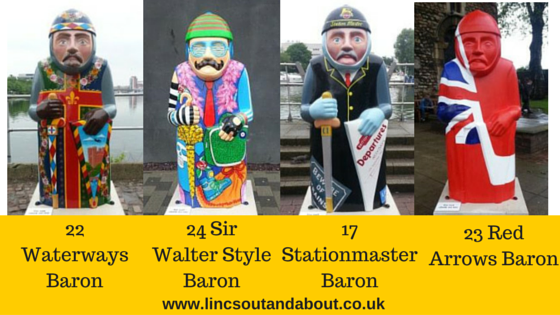 1 Mmm… Lincolnshire Baron, William de Forz, by Carolyn Short and sponsored by Burton Road Chippy. 2 Lindum Soldier, William de Huntingfield, by Deven Bhurke and sponsored by Lincoln BIG and Visit Lincoln. 3 Steampunk Baron, Richard de Clare and Gilbert de Clare, by Lincoln Steampunks and sponsored by Human Alchemy and Victorian Steampunk Society. 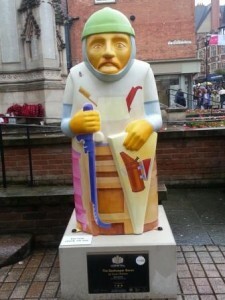 5 The Baron of Riches, Henry de Bohun, by Vanessa Clocking and sponsored by Lincolnshire County Council. 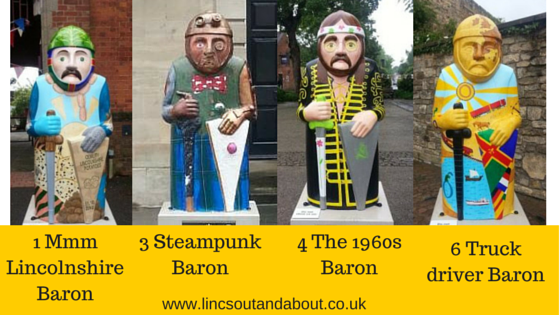 To find out more about the individual Lincoln Barons or to download a map of the Charter Trail go to the Lincoln Barons website Hurry as there is just over a month left to see the Barons. There are lots of interesting places to visit in Lincoln so why not include a visit to one of the following while you are in Lincoln, Lincoln Castle, The Museum of Lincolnshire Life, Lincoln Cathedral, The Collection or The Usher Gallery. This entry was posted in History, Lincoln, Things to do, Walking and tagged Charter Trail, Lincoln, Lincoln Barons, Magna Carta 800 on August 9, 2015 by admin.